Sam Kolder is famous for having some of the most impressive visuals on all of YouTube. His impressive cinematography skills and awe-inspiring adventures are inspirational to thousands. Despite having only around 600,000 subscribers, he has a very passionate fanbase and has accumulated over a million followers on Instagram. So what camera does Sam Kolder use to produce his incredible travel videos and Instagram hits? We did all the research to find the cameras he’s been using recently and offer you our thoughts on them! Let’s get right on into it. 1 What Camera Does Sam Kolder Use Today? 1.1 What Other Cameras Has Sam Kolder Used? What Camera Does Sam Kolder Use Today? Most recently, and most frequently, Sam Kolder is shooting almost everything with the Canon EOS-1DX Mark II Camera. It’s a very pricey behemoth, and one of the most expensive offerings on the market from Canon. With its beefed up specifications, It can do just about anything. 4k video at up to 60 fps, and full 1080p at 120fps for super slow mo. The image quality is absolutely incredible, and still photographers can take burst shots of over 170 raw images with the continuous shooting features. Between Sam Kolder and a similar photographer, Peter Mckinnon, we’ve learned that the 1DX is an excellent camera for any creators who want to excel with both their photos and their videos. If you are a creator who wants to be a jack of all trades like either of them, we highly recommend this camera! 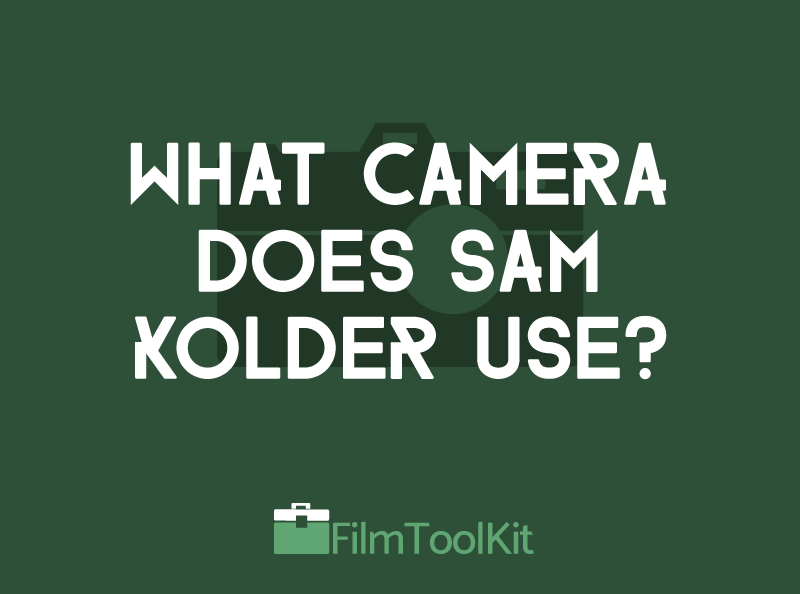 What Other Cameras Has Sam Kolder Used? As a professional photographer, Sam has many other cameras at his disposal as well. Here’s some of the most recent ones we’ve found. We’re not exactly sure how often he uses it, but Sam Kolder definitely at least owns a Canon 80D. Canon actually asked him to review the camera, and you can see a quick video discussing his take on it below. Considering this is one of the best cameras for vlogging, we’d say it gets its fair share of use. The flip out screen and awesome autofocus features are both very important for self shooting. These features made this device the camera of choice for several other vloggers we’ve checked out – Most famously, Casey Neistat. If you’re a beginner looking at getting into vlogging, this is our definite recommendation. It checks all the boxes and at around $1000, it’s very affordable. For awhile, Sam’s primary shooting device was the Canon EOS 5D Mark III. This high end DSLR has been a favorite of videography professionals for years, due to its excellent video performance and gorgeous color profile. We assume that he still uses this camera when he needs a more portable solution, as his favorite camera, the 1DX, can be a bit too bulky for people looking to have a highly portable kit. And of course, like pretty much every vlogger worth their salt, Sam also uses a GoPro to make sure he is able to record in any environment, and in any weather conditions. While many YouTubers reserve the Go-Pro for strictly underwater or action cam shots, Sam is not afraid to use it to vlog, especially if it is raining, or otherwise inconvenient to pull out his others cameras. While we usually say you can make any content with any camera, Sam Kolder is an example of someone who invests heavily into his camera equipment to bring you the best image possible. While purchasing one of the expensive cameras on this list won’t give you his adventurous nature and excellent eye for cinematography, it will definitely bring you closer to his level of quality. If you’re interested in learning more about what gear other famous YouTubers use, check out our dedicated section!